Seeing eye floaters or spots before your eyes can appear as specks or strings of black and gray. This generally occurs upon eye movement, but they can also appear when looking at something bright, such as sunlight. They are generally harmless to your field of vision, but larger sized floaters may cast a shadow making it slightly more difficult to see. Experiencing floaters warrants a visit to your eye care professional to make sure that it is not something more serious. If flashes of light or loss of vision are also seen with floaters it could signal something of a more serious nature and requires immediate attention. 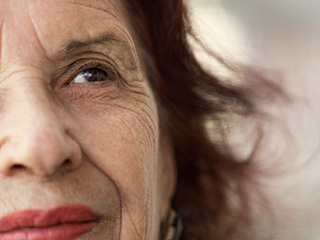 The aging process is the most common reason for having eye floaters, but other serious conditions, such as retinal detachment, bleeding in the eye area or a retinal tear could also be occurring. The cause of eye floaters is a protein known as collagen. The back of the eye contains a gel-like substance known as vitreous humor. As a person ages fibers decrease in size and collect in this area among the vitreous. The changes that take place cause the spots or floaters. Floaters can occur in all ages, but is most prominent between the ages of 50-75. 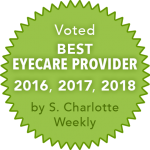 It also affects people who have undergone cataract surgery or those who are nearsighted, as well as other disorders that occur within the eye. There is no real treatment for eye floaters, as it is not necessary. Most people become used to them. For some people treatment is necessary, as it impairs their ability to see. This surgery is generally done by removing the vitreous. This surgery does carry the risk of retinal bleeding or tearing though. Laser surgery is also an option to break up the floaters.